The benefits of cooking with a George Foreman Grill are so many and varied that it’s little wonder it remains the world’s leading brand in health grills even 15 years after it was first launched. It’s easy to use, grills a whole host of food and can help you to cook up a healthier, tastier meal or snack in no time.The George Foreman 10 Portion Entertaining grill is ideal for larger families, entertaining your friends or even hosting an indoor BBQ as we all know not to rely on the great Irish weather. The George Foreman Entertaining 10 Portion Grill has a cleverly designed floating hinge which accommodates extra thick cuts so you can be generous with your slicing. With a floating hinge the grill top can move more freely, great for toasting sandwiches, paninis or more generous portions. The 970sq cm plate can cook up to 10 portions making it the perfect size to cook your favourite dishes for the family and friends. Fat reduction is at the core of the George Foreman brand and independent tests have shown that the George Foreman Grill removes up to 42% of fat from food. 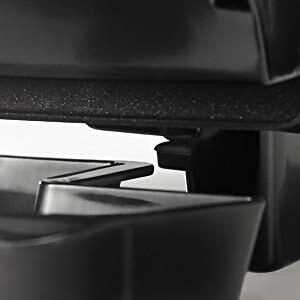 The patented angled grill channels fat and grease away from foods, and contact grilling from both sides applies gentle pressure onto food encouraging additional fat to be removed. 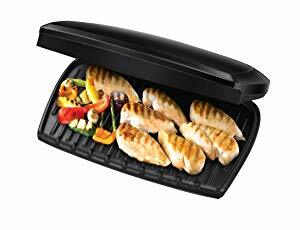 George Foreman Entertaining 10 Portion Grill | 23440 is rated 4.9 out of 5 by 24. Rated 5 out of 5 by Fosi from Outstanding product and service by HN We searched online for a George Foreman grill which led us to Harvey Norman. Navigated through website and found the one that we liked and proceeded to checkout and purchased it. Within a week our product arrived with no hassles at all. The George Foreman grill has been enjoyed by all in our family and the convenience of cooking as well as the price for it was amazing. Navigating through HN website was very easy and the delivery service was outstanding arriving quickly and without any hassles at all. I would recommend purchasing the product as well as using HN in future. Very satisfied customer. Thank you HN. Rated 5 out of 5 by Shakey from Healthy eating to the fore I've purchased several George Foreman's in the past, one which I keep at home for family use and the other two are in my workplace for convenience. Unfortunately, one took a hop when we hit severe weather, yes my workplace is a ship. It was my own fault as I should have stored it away. Probably the best tool I have for my fitness and nutrition goals. Reduces cooking times for busy people and you can see the difference it makes in cutting fat. Easy to clean and handy for food preparation. Rated 3 out of 5 by Jane M from Needs a timer & temp control I bought this as my old one (after many years) had fallen apart! I'm disappointed with the new model. It has no timer - (which the old one had )and I feel is an absolute must. I have to keep checking to see if food is Cooked/Overcooked. Also on the old model you could adjust the heat up or down. Not on this model either. Only plus is that it came at a fraction of the usual cost as it was on offer. Rated 5 out of 5 by ABBB from So easy, so healthy, so fast We have had the George Foreman grill for over a month now and a day hasn't gone by that it's not in use.In minutes you have a greaseless tasty meal. We even cook sliced sweet potatoes on it. It is easy to clean and seeing the grease that is not going into our bodies is a welcome relief. Rated 5 out of 5 by Yore from Very quick cooking I bought the George foreman for a Christmas present. Since we got it we have cooked steak which came out beautiful and tender aswell it makes lovely toasted sandwiches. 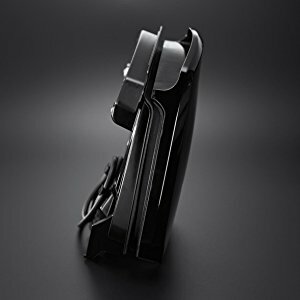 Rated 5 out of 5 by lesnol from Love my George Foreman, fabtastic deal! This was bought to replace my six portion grill which was quite a few years old and had lost its non stick coating. Im delighted with it, the extra space is great. Rated 5 out of 5 by Ollie from Great grill unit I got this George Foreman in the Harvey Norman January sales and it is excellent. Very good value and grills all foods to perfection.